Photo: Camping at Cascade Pass. We were lucky to have 3 days of clear skies, although we could see some intense shower activity far to the east—the Sawtooth Range east of Lake Chelan was often cloud-covered and dark. April access to the area via the Stehekin Valley is virtually eliminated by nasty cliff bands and headwalls, so we approached by the much safer Cascade River route. This required four hours of driving to the west side, but a short three-mile hike and ski tour up the blocked road put us at the summer-time parking area by early afternoon. Stable snow is needed for climbing the benches below the pass—one climbs directly up to avoid the route of the summer trail, which crosses some exposed avalanche slopes. 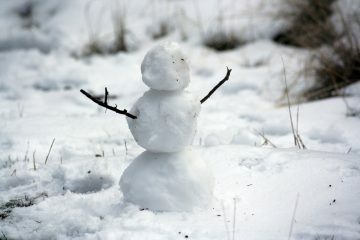 The following day’s skiing of Sahale Arm—and later in the day Mixup Arm—was on good corn-like conditions. 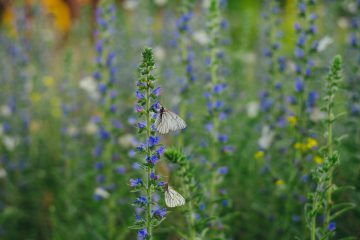 Firm in the morning and perfect by mid-day. The air was cool enough to keep the higher slopes from softening, even though the sun was intense. This was the perfect trip to mark the early days of May, especially since I had wanted to ski here every since I began skiing in the mid 1970s. It was a trip I had delayed far too long. Photo: Magic Mountain on left, Formidable in background. 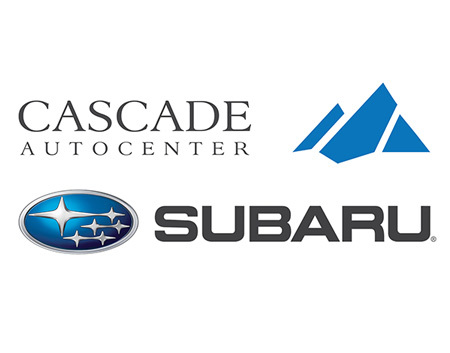 Cascade Pass is not in the WenatcheeOutdoors region in terms of driving access as described below (from the west) but the pass itself sits in a region that we do consider to be part of the W.O. territory. 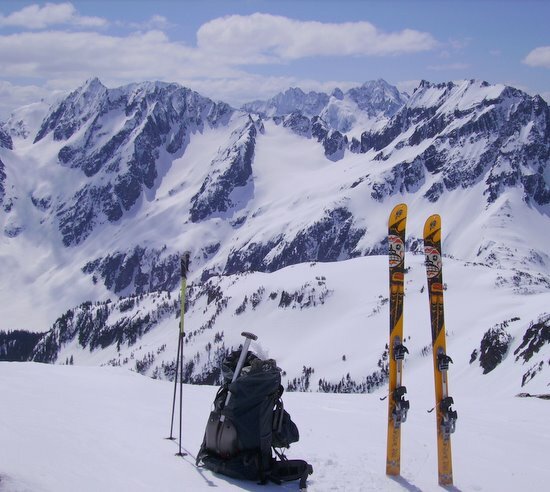 Difficulty & Fitness: Cascade Pass can be accessed by backcountry skiers with intermediate skiing and fitness levels. Access. Drive Highway 20 to Marblemount. Then follow the Cascade River Road upstream, first along the Cascade River and then along the North Fork of the Cascade River. Skiing will start at either where snow or gates stop you. For this trip we could drive within about 3 miles of the parking area for Cascade Pass. Directions. 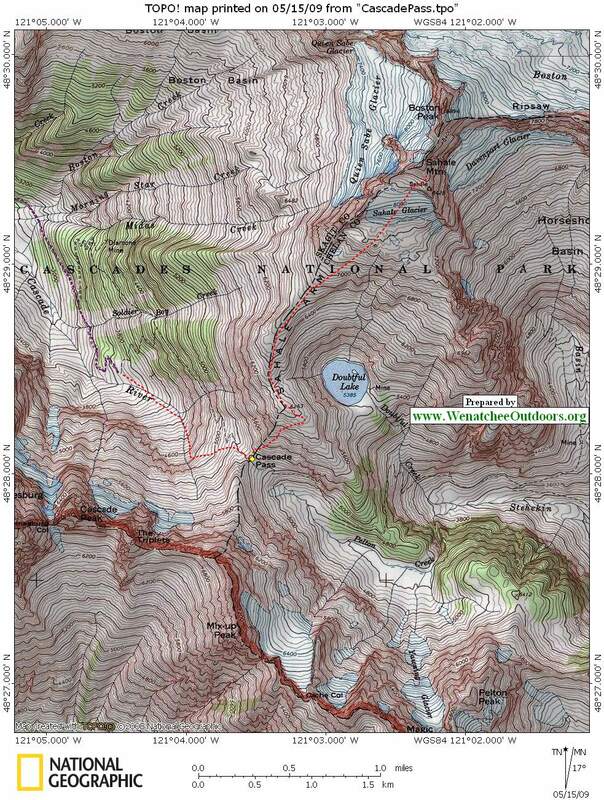 See our topographic map below for a good ski route leading to the pass. Print our map on 8.5″x11″ paper in portrait mode. Hazards. 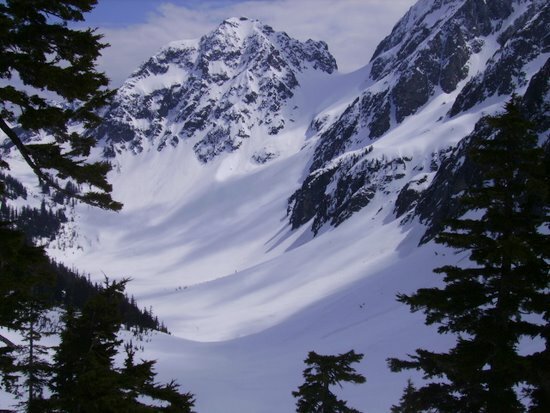 Many of the slopes around and/or leading to the pass can be avalanche prone, so the ability to assess the hazard and pick safe routes is important for safe travel. Permits. 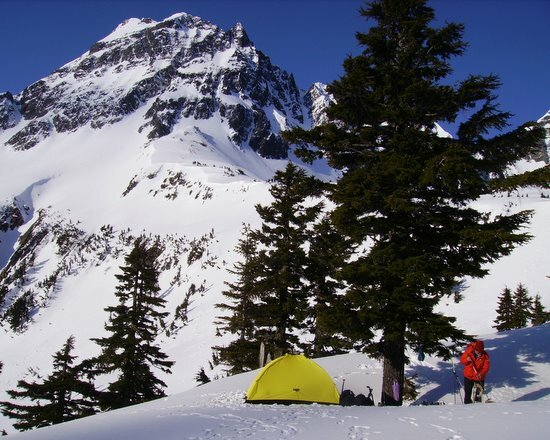 Camping in the Cascade Pass is permitted and regulated in summer but backcountry skiers can visit in winter and spring without permits or fees.